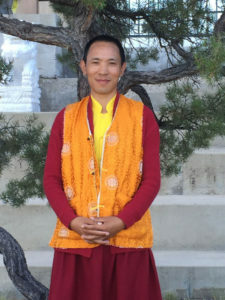 Khenpo Tenzin offers a series of Dharma talks – an excellent introduction to learning more about your natural state of wisdom and compassion and why things happen. Valuable tools will be shared to help create more peace and happiness. Stay for the whole day! Bring a lunch, and after the talk eat on our veranda. Stay for Khenpo Tenzin’s free mediation class at 1pm, followed by our profound practice of White Tara at 2pm.